1. 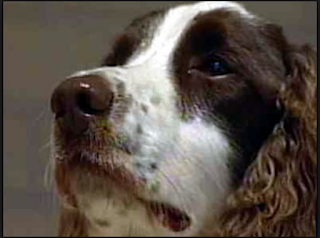 Which cases has Eddie the Springer spaniel sniffer dog been used in within the South Yorkshire Force area over the last five years? 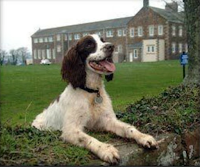 Eddie, the specialist dog is no longer with South Yorkshire Police. He and his handler left the Force in August 2007. The information supplied therefore relates to his service between 2003 and 2007. As two teams working together: handler Ellis and dog Frankie, with handler Grime and dog Eddie have been deployed on twenty occasions, with the recovery of four bodies. Working alone, Grime/Eddie have been deployed on seventeen occasions with the recovery of one body and Ellis/Frankie have been deployed on five occasions with the recovery of three bodies, this includes the recovery of two women in one grave. 2. Which cases has Eddie the Springer spaniel sniffer dog been used in outside the South Yorkshire Force Area over the last five years? Please provide a breakdown for each year. Out of the twenty occasions where the dog teams were deployed together, two deployments were in the South Yorkshire Police Force area and the remainder were out of the force. All seventeen deployments for Grime/Eddie working alone were to external forces. Two deployments for Ellis/Frankie were in the South Yorkshire Police Force area and the remaining three were to external forces. 3. What does the South Yorkshire constabulary charge for Eddie the sniffer dog’s services? The daily charges for the deployment of Eddie were £700 per day Monday to Friday and £900 per day for weekly leave days and bank holidays. These charges have not changed over the last five years and are still applicable to date. 4. Please could you provide a breakdown of the fees and expenses charged for each case Eddie the Springer spaniel sniffer dog has been deployed in outside the South Yorkshire area in the last three years? 5. To whom is money made payable for the services of Eddie the sniffer dog? All monies received for the deployment of Eddie during his time with South Yorkshire Police were paid to South Yorkshire Police. 6. Who owns Eddie the sniffer dog? 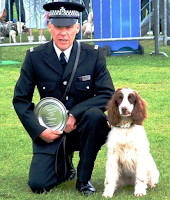 Ownership of Eddie was transferred from South Yorkshire Police to his handler Martin Grime when he retired from the Force in 2007. 7. What training did Eddie receive to assist him in his duties? When Eddie was with South Yorkshire Police he received training in line with the ACPO dog committee standards for specialist dog training. The training was and in relation to current dogs is 18 days per annum. "1. Can you confirm that the cadaver dog "Eddie", formerly a police dog under dog handler and dog instructor Martin Grime, now retired from your force, was sent to America to be trained on human cadavers and be upgraded to "enhanced" victim recovery dog? 2. Can you confirm that South Yorkshire Police uses, or has used, an American device for trapping scents, a "Scent Transfer Unit" or "STU100" in the training of its cadaver dogs?" (PC GRIMES) has deployed police dog 'Eddie' to train on human remains in the US. This training has been valuable as it is not possible to utilise human remains in the UK. A full report from the F.B.I. to document his training and operational deployments whilst in America remains pending. Deployments have been on a national scale and a recent visit to the F.B.I. in America has created some income generation potential in terms of training. Complete sponsored visit to FBI to educate on C.S.I. Dog capabilities - Achieved. I developed the training of the E.V.R.D. to include the screening of scent pads taken from motor vehicles by a STU100 Scent Tranference Unit. The unit is designed in a two main-part design. The main body is a battery operated electrical device that draws air in at to the front and exhausts through the rear. There is no 're-circulation' of air within the unit. The second main part is a 'grilled' hood that fits to the main body. A sterile gauze pad is fitted into the hood. When operated the STU100 draws air through the hood and the sterile gauze pad and exhausts through ports to the rear. 'Scent' is trapped in the gauze, which may then be stored for use within scent discrimination exercises. The STU100 unit is cleaned following use in such a manner that no residual scent is apparent. This is checked by control measures where the dog is allowed to search a given area where the STU100 is secreted. Any response by the dog would suggest contamination. Tests have shown that the decontamination procedures are effective in this case with the dog NOT alerting to the device when completed. Use of the STU100 is recommended when subject vehicles, property, clothing, premises are to be forensically protected from contamination by the dog, and for covert deployment. At all other times best practice would be for the dog to be given direct access. Operational use of the STU100 is in a developmental stage. A missing person, last seen returning from church, on foot, in N. Ireland. The search of suspects 'burnt out vehicle' by forensic scientists did not reveal any evidence. A search by the E.V.R.D. identified a position in the rear passenger foot well where the dog alerted to the presence of human material. A sample was taken and when analysed revealed the victims' DNA. The enquiry then concentrated its efforts on the suspect and the E.V.R.D. located the body of the woman in a river bank deposition site. Further searches identified a location where the E.V.R.D. alerted in the front bedroom of the offenders empty next door dwelling house. When interviewed the suspect admitted that the body had lain in the room for 1 hour prior to disposal. Forensic teams were unable to extract any forensic evidence despite being shown the exact position. A female was abducted by her ex-boyfriend. Intelligence suggested that her ex-boy friend had taken her to his house. A search by the EVRD of the house resulted in small blood stains being alert indicated and forensically confirmed as her blood. The suspect, a builder, was in possession of a van. This was searched and the EVRD dog alerted to a 'wacker plate', spirtit level, and shovel. A site was identified where the suspect had been working. The EVRD then located the body deposition site in an area of a garbage base that had been prepared by the suspect. He had returned with the dead girl, dug a grave in the centre, placed the body in the hole, replaced the spoil and then used the shovel, wacker plate and spirit level to return the ground to its original state. A female was abducted and her whereabouts were unknown. The suspect was a bus driver. An initial search by the E.V.R.D. alerted at a location near to a sighting of the suspect in suspicious circumstances. A forensic search at the alert location revealed a small button off of the girls clothing in long grass. The offender confessed to the murder and confirmed her body had been initially temporarily placed at the dog's alert location. A woman was reported missing by her partner. A search of the suspects house by the EVRD was conducted who indicated on the living room carpet. No forensic evidence was recovered. Subsequently a diary written by the suspect was alert indicated by the dog. The diary had written extracts that the offender had laid the victim on the carpet whilst dead, the diary had in fact been written by the suspect having handled the body. This was confirmed by the offender in interview. A witness reported having seen two men walk off into brush land carrying a spade and a corpse. The area was searched with the EVRD with no indications being forthcoming. Other assets were utilised and the body was found: buried at a depth of 8 feet, under the water table, 3 feet of cement and 5 feet of earth replaced on top the corpse that was wrapped in cling film. There being no scent available to the dog to receive there was no forthcoming.